Copenhagen Business School invites applications for a vacant PhD scholarship that focuses on the effects of risk management technologies and their interrelations with accounting in private and public sector organizations. A PhD scholarship runs for a period of 3 years, and includes teaching obligations equivalent of ½ year’s work (840 work hours). The scholarships are fully salaried positions, according to the national Danish collective agreement. The scholarship includes the tuition fees, office space, travel grants plus a salary, currently starting with per month app. DKK 23.770 (app. 3,160 euro) up to DKK 28.964 (app. 3,860 euro) depending on seniority, plus a pension contribution totalling 17,1 % of 85 per cent of the base salary. The PhD student will be enrolled at PhD School in Language, Law, Informatics, Operations Management, Accounting and Culture. To be considered, the candidate should have a basic training at the Masters level (similar to the 3 + 2 Bologna process). An educational background in the social sciences is necessary. The applicant must have successfully completed the Masters degree before commencing PhD at CBS. The applicants must be fluent in English. Please find the compulsory application form, guidelines, and further information on scholarships and the Doctoral Programme at Official Website. 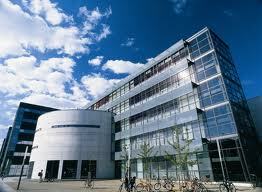 Details about Copenhagen Business School and the department are available at Official Website. Demikianlah informasi mengenai PhD Scholarship Position in Copenhagen Business School semoga berguna bagi anda.